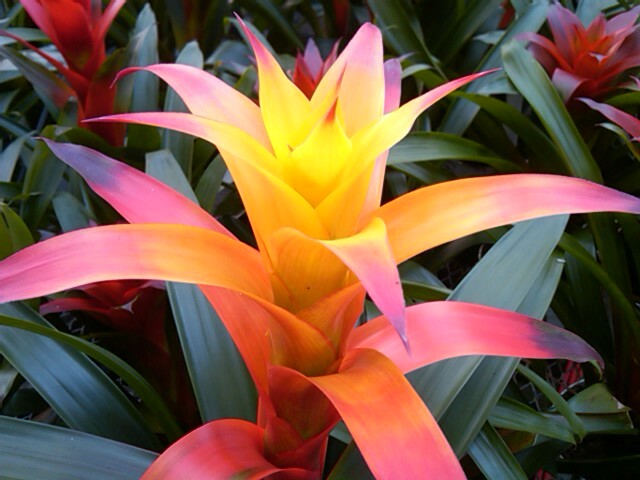 Look at the color on this Bromeliad! Here is a photo from a recent visit to one of our suppliers. 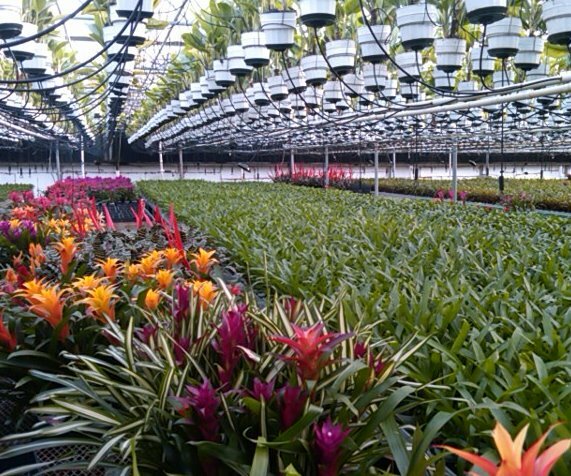 We buy the highest quality plants directly from the best suppliers in the industry. It takes 2-3 years to grow a Bromeliad. 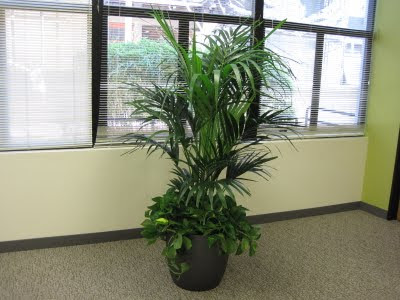 The gorgeous Oncidium Orchid in the foreground, and the Kentia Palm and Oak Leaf Croton in the background help soften the room, and make it feel warm and alive. What a great arrangement! These 'earth walls' with living plants are on wheels and make great office dividers.